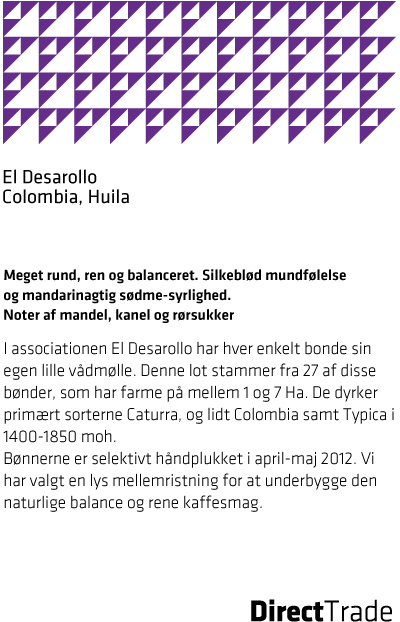 Today we start selling El Desarollo from Huila, Colombia. Since we have noticed that there are so many people craving to learn danish we give you the opportunity to translate the taste description yourselves. One little hint: "Mandarin" is pretty much the same in English. You can read more about Peters trip to Desarollo here.